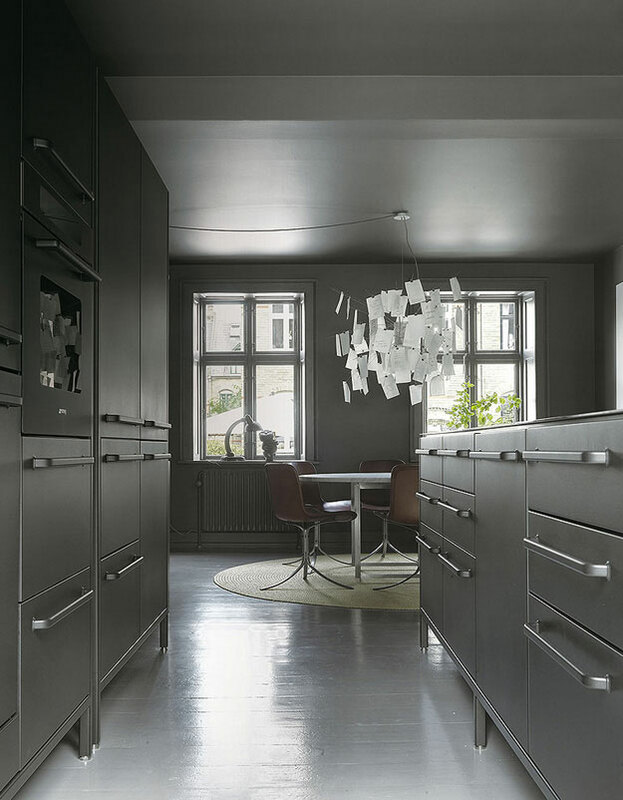 This gorgeous home belongs to Sofie and Frank Christensen, co-owners of Danish brand Vipp. 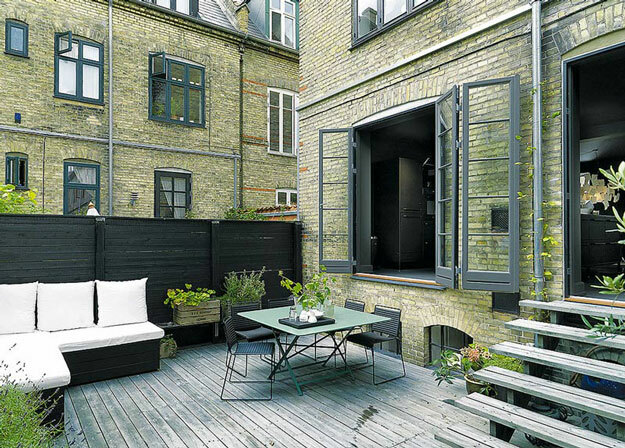 It is located in a beautiful 1898 building in Copenhagen. 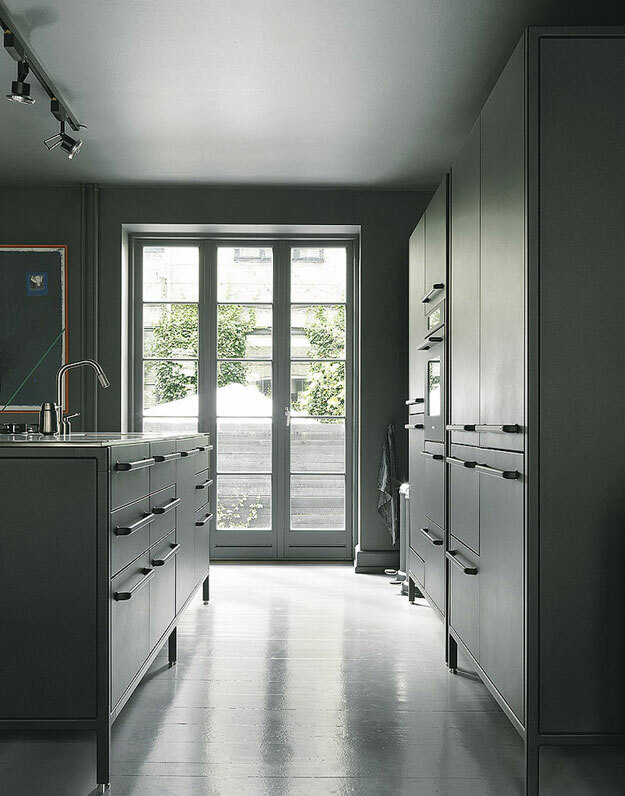 The place has a very interesting mix of light and dark colours. 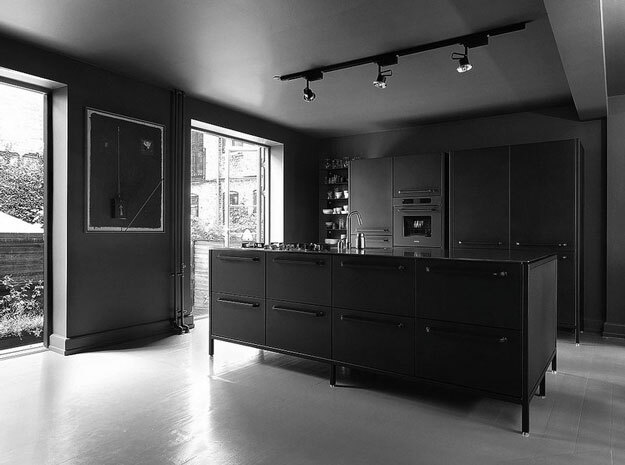 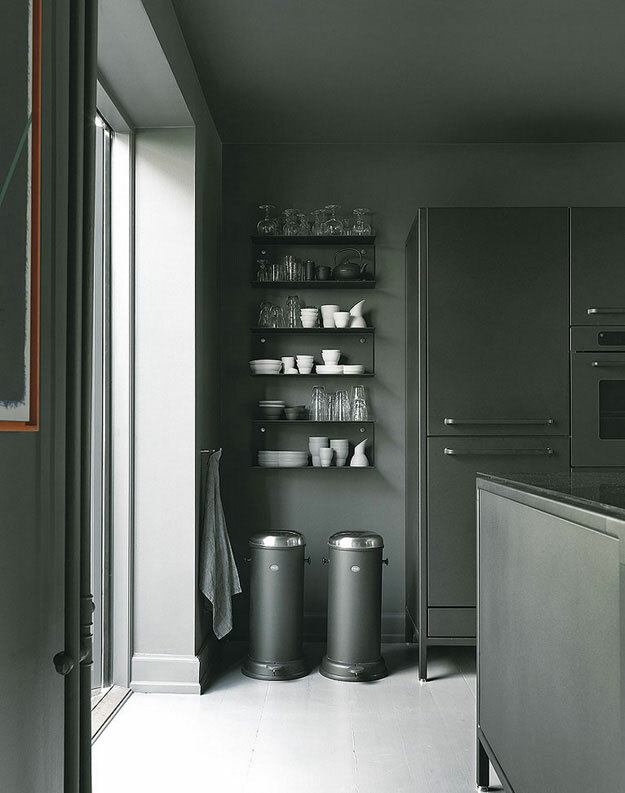 The kitchen is completely black, but it remains luminous thanks to the white lacquered floor. 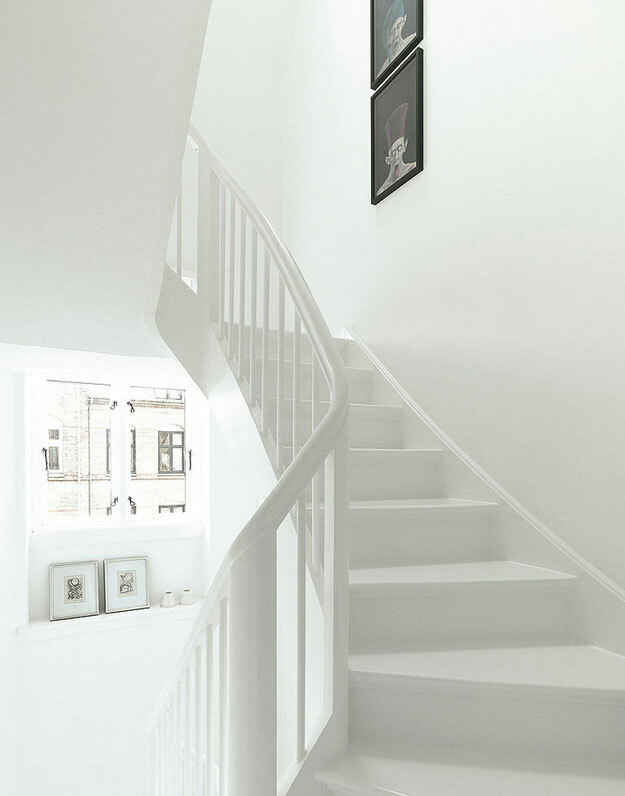 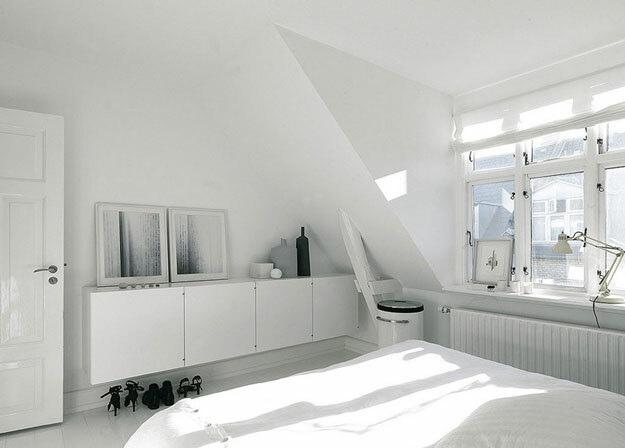 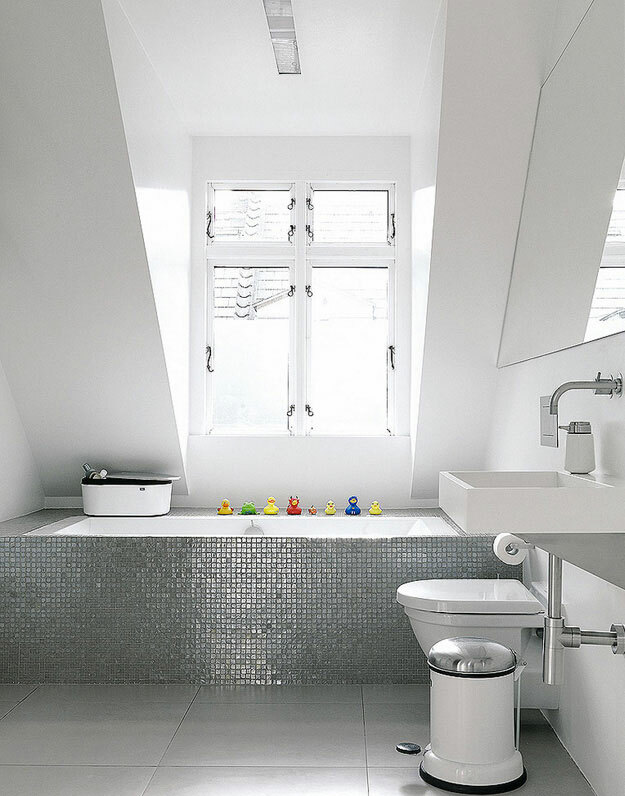 The rest of the house is kept extra bright in an all-white palette with only a few dark accents. 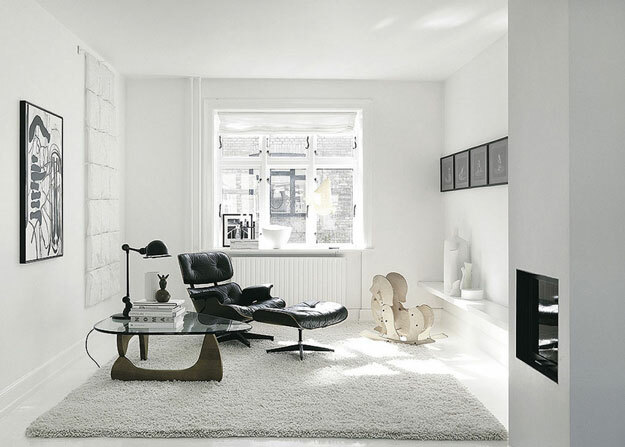 Add to the blend some stylish and classic designs, and the result is a contemporary, sophisticated interior.